Singer-songwriter Bob Dylan has won the Nobel Prize in Literature this year “for having created new poetic expressions within the great American song tradition,” according to the Swedish Academy. 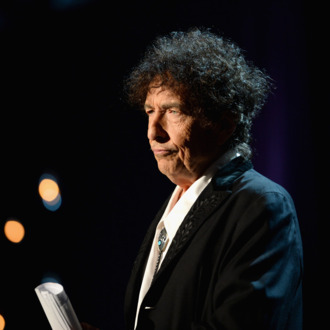 In addition to the prestige of the Nobel, Dylan won 8 million Swedish kronor (roughly $900,000). He’s the first American to win the award since Toni Morrison in 1993. The announcement came as a surprise as the Nobel Prize in Literature has historically gone to writers who work with more traditionally recognized forms like novels, poetry, and short stories. “He is a great poet in the grand English poetic tradition,” said Sara Danius, the permanent secretary of the Swedish Academy, after the announcement. Danius argues that Dylan’s lyrics are “an extraordinary example of his brilliant way of rhyming and putting together refrains and his pictorial thinking.” When asked whether the Swedish Academy has significantly broadened the horizon of potential winners, Danius replied, “It may look that way, but really we haven’t. If you look back, far back, 2,500 years or so, you discover Homer and Sappho. They wrote poetic texts that were meant to be listened to.” She recommends starting with the classic 1966 album Blonde on Blonde as a way of getting into Dylan. Dylan, who was born in Duluth, Minnesota, in 1941, has a massive oeuvre spanning more than five decades. He has been on his “Never Ending Tour” since 1988. “Dylan has the status of an icon,” Danius said during the announcement. “His influence on contemporary music is profound.” Dylan’s early influences include Woody Guthrie and the Beats. Besides his albums, he has published a work of experimental prose called Tarantula in 1966 and the collection, Writings and Drawings. He wrote his autobiography Chronicles in 2004.